In the past, when started blogging I was having so many problem interlinking my keyword with my recent post I had’t try so many plugin but I could’t fit it until l came across this plugin SEO Smart Links. for the purpose of my site’s security, I have decided to start using SEO Smart Links which offers far better functionality with great performance and security. In this post, I will show you how you can improve your SEO and income with SEO Smart Links in WordPress. What is SEO Smart Links? 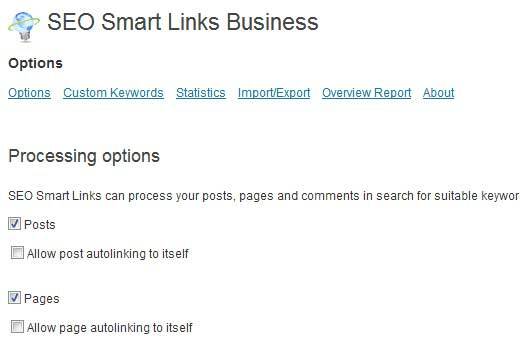 SEO Smart Links is a plugin that enhances your search engine rankings by automatically inter-linking your posts, pages, custom post types, categories, taxonomies etc. with your keyword. If you want to increase you internal backlinks for SEO please go for this plugin. Often you write a great post which should be linked from a post that you wrote 2 years ago. But most bloggers don’t remember to interlink. Quite honestly, it is not an easy task. But this plugin does that automatically without you having to worry about it. If you know anything about SEO, then you understand the value of internal links. The important thing about this plugin is that it allows you to handle affiliate links just like others affilliate plugin . It will let you create custom affiliate links like yourdomain.com/refer/keyword. This allows you to easily swap affiliate links should the company you are promoting decide to switch between affiliate programs. The other thing is that you can use the custom keywords option built-in to this plugin to automatically replace keywords with affiliate links. So anytime you mention a specific keyword like interserver or propellerads or infolink, this plugin will automatically link that. This allows you to increase your site’s income without really annoying your users. Yes! First thing you need to do is purchase and install the SEO Smart Links plugin the is a free version and paid version but prefer paid version because the is a lot of functionality. Upon activation, you will see a new menu option for SEO Smart Links. If you click on the options, you will see the processing options. This includes all the custom post types you have. You can choose to enable/disable the processing of any custom post types. Then there is an option for automatic interlinking. This plugin can check every word in your post against your existing post/page titles. If a match is made, then the word or phrase will be linked to the specific post. You can also select what should interlink (posts, pages etc). You can also set the minimum length for the keyword. This prevents really small keywords from being replaced. Aside from all that, you have full control over everything. For example, you can disable the processing of each individual post. You can also add custom keywords for a specific post. That is separate from your master keyword list. You can also set limits on site wide basis. For example maximum created links on each page should be 10. Maximum total links on a page should be 0. You can set how many times same keyword can be linked in one post it depend on you. You can control whether external links open in a new window I prefer new window etc. You can also have a keyword ignore list. For example generic keywords like “about, contact” etc should not be linked. We think this is an good and amazing plugin to choose from the list of interlinking plugins . It has been proven that automatically replacing keywords with affiliate links has been very profitable for me. I believe that automatic internal linking would help me with better user experience as well as good SEO. This is a paid and free plugin, go for paid version it’s well worth it. If you care about your SEO, then it is one of the must have plugins.